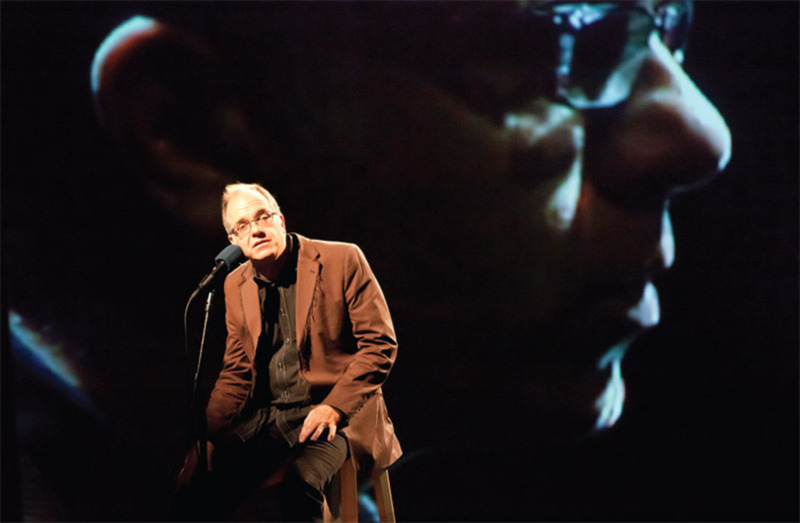 Steven Schick performing Kurt Schwitters’s Ursonate, 1922–32, during the Tune-In Music Festival, Park Avenue Armory, New York, February 18, 2011. Photo: James Ewing. 1 Steven Schick (Park Avenue Armory, New York, February 18) Kurt Schwitters’s Ursonate (1922–32) is a sound-poetry classic. Steven Schick’s highly amplified interpretation during the Tune-In Music Festival, with video montage/collage of giant images of him performed by Shahrokh Yadegari and Ross Karre, evoked a US mass-media demagogue, speaking in tongues. 2 Music for Merce (Roulette, SoHo, NY, March 20) One of the final events at the old Roulette space featured performances by Christian Wolff, Takehisa Kosugi, David Behrman, John King, Alvin Curran, Ikue Mori, Marina Rosenfeld, Gordon Mumma, Joan La Barbara, and many others, all to celebrate the release of Music for Merce (New World), a ten-CD box set of pieces created by these incredible composers for the Cunningham company.